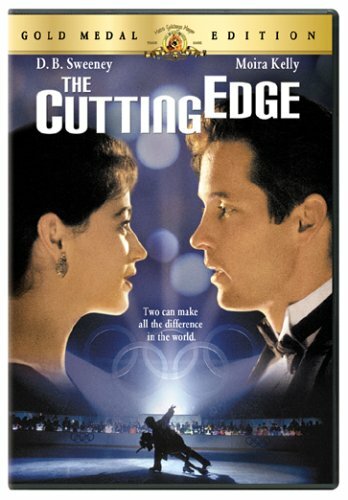 The story focuses on Doug, a star hockey player who has to give up his career after an injury and turns to pairs figure skating instead, in the process getting paired with rich, spoiled Kate, who is determined to add Olympic gold to her collection of medals after a disastrous first Olympics with another partner. 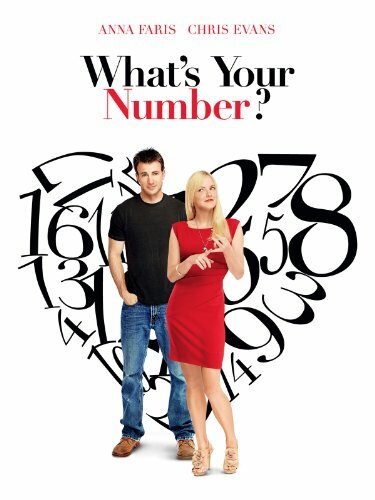 Due to the aforementioned parental strictness, this was one of the first romantic comedies I ever saw (possibly even THE first), and I think I must have imprinted on it hard, because Doug and Kate are one of the ur-bickering couples in my mind and I adore a good bickering couple to this day. 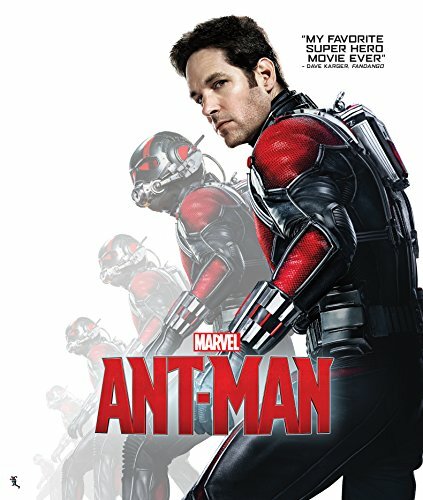 The script is great, the chemistry is great, and although I’m not a huge fan of sports movies in general, I loved this one because it was about figure skating. Most of the actual skating for the film was done by Isabelle Brasseur and Lloyd Eisler, a Canadian pairs team known for their spectacular stunts, which the film takes full advantage of. I picked this three book omnibus up on sale for Amazon Kindle and was pleased that I did. 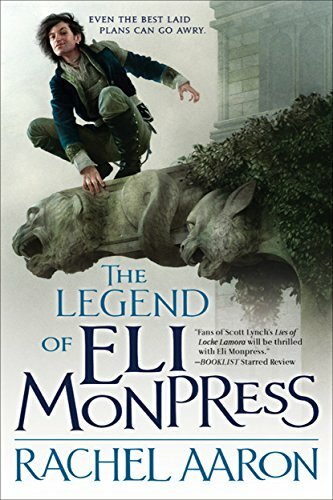 The Legend of Eli Monpress, by Rachel Aaron, is a light, fun, and entertaining read, and sometimes that’s exactly what a body needs. The series follows the adventures and misadventures of Eli Monpress, a rogue, a thief, and a wizard in a world where inanimate objects have personalities and spirits that can be enslaved (by bad wizards) or bargained with (by good ones), as well as his companions Josef, a swordsman, and Nico, a demonseed. 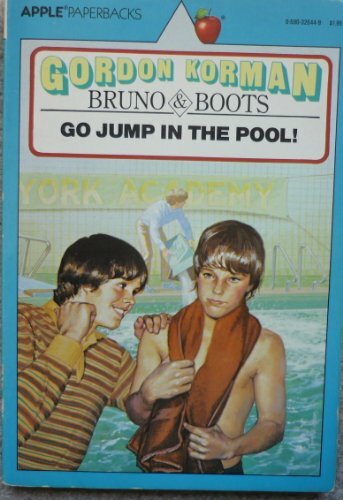 I thought the books themselves got better as they went on. Though The Spirit Thief was a lot of fun and did a pretty good job of setting the world up, the characterizations were mostly paper-thin and the plot was formulaic and relied too heavily on (sometimes literal) deus ex machinas. The later books fleshed out the characters much better and the plots were also stronger, although I remained irritated by the author’s frequent tendency to land Josef at death’s door, only to have him in fighting shape again, like, three days later. Even with an ancient sword that helpfully mends wounds as well as causing them, it was a little excessive. However, the books were just so FUN that these irritations remained minor. My favorite part of the series was the worldbuilding. As much as I admire the incredible worldbuilding in George R.R. Martin’s A Song of Ice and Fire series, for example, if somebody gave me a one-way ticket to Westeros, my answer would be an emphatic and instantaneous, “Hell, no!” Dragons or not, I’m female. I have no illusions about what would happen to me in a place like Westeros. The Council Kingdoms of Eli Monpress and his friends, on the other hand, I might have to think a little about. Not only are they a heck of a lot more gender egalitarian, but the ability to interact with inanimate objects is something I’ve always thought would be fun and the interactions in the series are frequently hilarious and sometimes just plain AWESOME. Aside from their occasional problems with demonseeds, enslavers, and capricious goddesses, the Council Kingdoms sound like a pretty darn fun place to live, especially if you’re a wizard. Certainly, they were a fun place to spend a few hours. 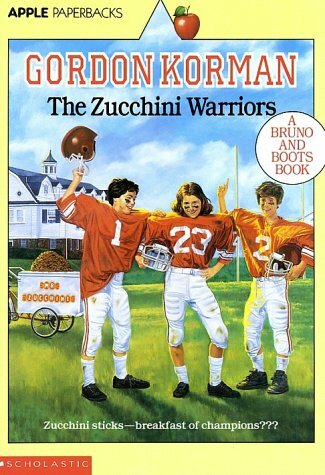 The final two books in the series are The Spirit War and Spirit’s End. I’ve been told they are somewhat darker in tone than the first three books, and haven’t read them yet. Back in my college days, I once had to write a paper on exactly what Little Big Man gets right and wrong about Cheyenne life. There was quite a bit of both, as I recall. 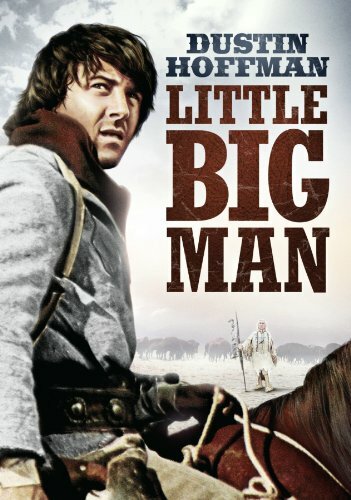 Despite its flaws, however, I think Little Big Man deserves a lot of credit for being one of the first films to give a sympathetic portrayal of American Indians and their cultures, and more importantly, to give a human portrayal of American Indians and their cultures. The Indian characters experience the same depth and range of human emotions as the white characters, and include both “good” and “bad” characters. In contrast to their frequent portrayal in many earlier films as stern, bloodthirsty, and savage and in many later ones as solemn, mystical, and wise, the Indians of Little Big Man even have senses of humor! Despite several prominent Cheyenne characters, the film itself does follow a white man named Jack Crabb (Dustin Hoffman) who is captured as a boy and raised by the Cheyenne. Crabb takes a somewhat Forrest Gump-like path through all aspects of Wild West society, from being “saved” by a fire-and-brimstone preacher after being re-captured from the Cheyenne to becoming a snake oil salesman, gunslinger, drunk, and muleskinner for one General George Armstrong Custer. The real historical events depicted (again, with varying degrees of accuracy) in the film include the Washita Massacre, the death of Wild Bill Hickok, and the Battle of Little Bighorn. It’s an entertaining, well-acted, and frequently hilarious movie, but hard-hitting in its depiction of the genocidal campaign against the Cheyenne and their fellow Plains tribes, and you may want to keep a hanky handy for certain scenes. Note: This film shouldn’t be confused for a biography of the historical Little Big Man, an Oglala Lakota. I don’t think of myself as being a big fan of Westerns in general, but ironically enough, two of my all-time favorite films are Westerns. Since they both happen to be written by the same guy, it might be more of a William Goldman thing than a Western thing, but even so, I probably shouldn’t discount the genre quite as much as I tend to do. Butch Cassidy and the Sundance Kid is one of my parents’ favorite movies and is probably second only to My Cousin Vinny in the frequency with which it’s quoted at family get-togethers. 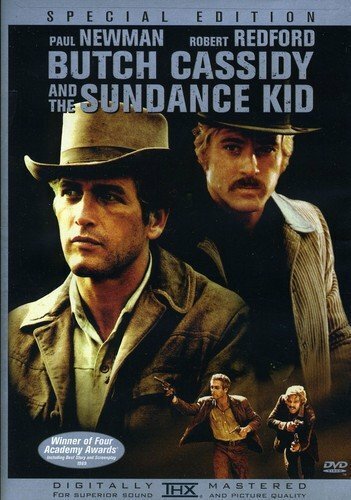 Based loosely on the lives of real-life outlaws Butch Cassidy and Harry Alonzo Longabaugh, it’s one of the greatest buddy comedies ever made, and is loaded from start to finish with laughs, mainly from its witty and memorable dialogue. 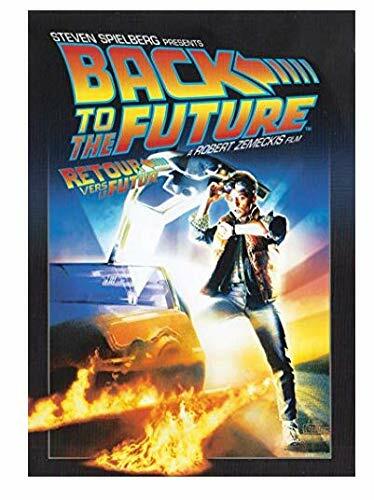 Paul Newman and Robert Redford are in their prime, both as actors and heart-throbs (luckily, the film is color, so you get the full effect of Newman’s incredible baby blues), and there are also some enjoyable action sequences. A well-deserved classic and must-see film. Weirdoes of the Universe, Unite! 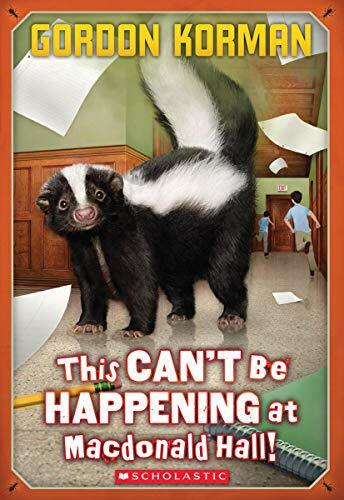 was one of my favorite books as a child. Mandy and Owen are outcasts at school and start their own club to celebrate weirdness. While collaborating on a school project about mythological characters, the characters suddenly start coming to life – and before they know it, Mandy and Owen are being called upon to help save the world from an alien invasion! Weirdoes is a funny read, with some great banter between the different mythological personalities (who include Baba Yaga, Coyote, and Siegfried), and I really loved the concept of Otherworlds, where all the different mythological characters and creatures dreamed up by mankind exist somewhere, even the ones that nobody has believed in for thousands of years. Although I don’t remember them as well, I also enjoyed Pamela F. Service’s novels The Reluctant God, about an ancient Egyptian prince who wakes up in the modern world, and Being of Two Minds, about an American girl who has a telepathic connection with a European prince, a connection that becomes extremely useful when he is kidnapped.